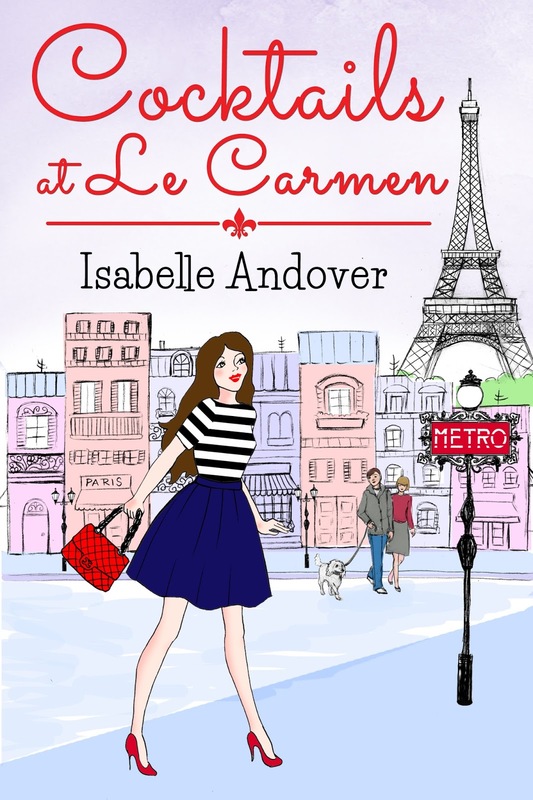 Please welcome Isabelle andover, author of Cocktails at Le Carmen. 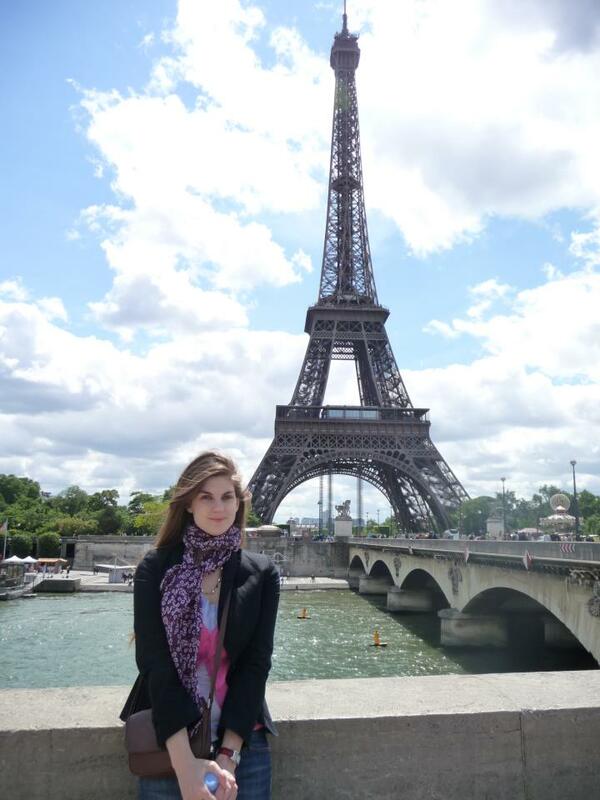 Following several years as a media analyst, Isabelle now works at a Paris-based media company specialized in the international beauty market. 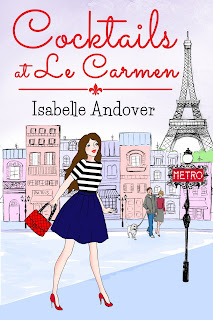 In addition to fully embracing the culture of her adopted country by way of consuming plenty of French wine and cheese, Isabelle can also be found indulging in the typically British pursuits of shopping at Marks and Spencer on the Champs Elysées and drinking copious cups of Earl Grey. Ooh this is a tough one. All are equally good. I’d have to go with chocolate, I think. Carrie Bradshaw - more for her taste in shoes than her taste in men. I’d have to say wine, since I live in France. Spa vacation all the way. Not because I can’t live without my hair dryer (I wash my hair less often than Kim Kardashian), but because you can’t beat a bit of pampering and relaxation. I suppose I’d have to say vampires. Cats! I love cats. I have one — I’m a total cat lady. My friends think I have ‘issues’. Am I allowed to say neither? Tea. I really like Earl Grey, although I also drink coffee. Sneakers. Or ‘trainers’, since I’m British. Physical book. Although I’ve recently started reading e-books, so maybe this will change. Paperback. They’re easier to read in the bath. Pen – one with coloured ink. Lipgloss, but only if you aren’t wearing your hair down, otherwise you have the dreaded 'hair stuck to your lips' problem if you venture out in high winds. Facebook. I spend hours on there. In fact, I’m multi tasking right now. Fly by the seat of your pants. It probably takes longer to write this way, but your novel can end up taking some unexpected twists and turns.